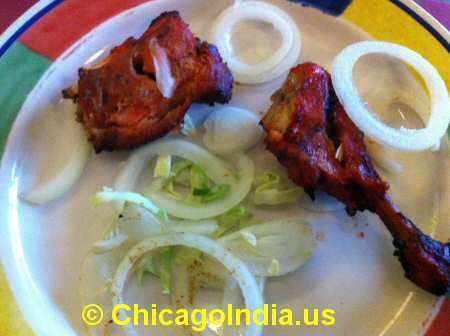 Chicago and its suburbs are blessed with a profusion of Iindian restaurants. North Indian, South Indian, and Indian Chinese fare, ask and it shall be provided. Chicago residents are also fortunate that the region offers plenty of choice when it comes to buffets. Although Indian buffets don't offer the choice of chinese buffets, there's still plenty on the steam tables. 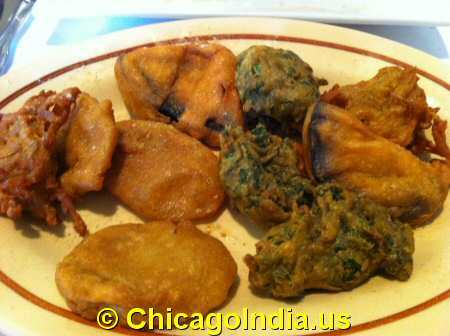 Chicago Indian buffets typically offer Pakoras, Samosas, Bhajias, Chicken 65 and Tandoori Chicken for appetizers. For entrees, Indian buffets provide a wider selection that often include Chicken Tikka Masala, Chicken Makhani, Goat Curry, Bhaingan Barta, Alu Gobi, Paneer Masala, vegetable Jalfeize etc. 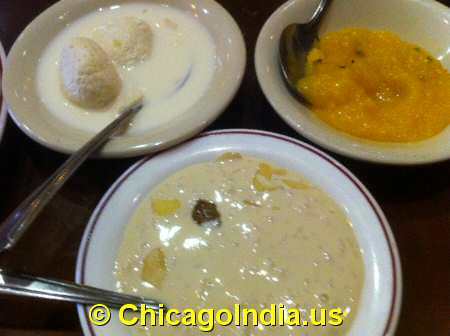 Desserts at Indian buffets are usually Gulab Jamun, Rice Kheer and Carrot Halwa. Chicago Indian lunch buffets usually costs from $8.99 to $10.99. The price goes upto $14.99 during weekends. While most Chicago Indian restaurants offer lunch buffet, there are a few that offer dinner buffet and chaat buffet as well.